Your budget will take you WAY farther in Portugal than in Spain, although with care you can do well in Spain as well. Portugal, and especially Lisbon, is the home of filling delicious meals in every neighborhood for 5-7€ which lets you spend a bit more on frills and excitement. You might think of something like a week or so based in Lisbon, a few days in Porto and then...if the budget stretches...a budget flight to a last few days in Barcelona (or other city of your choice with US-bound flights. Thank you, PHeymont, that's helpful. I've always wanted to see Lisbon and Barcelona, and your plan makes sense. Is there a specific guidebook you'd recommend? I just visited www.seat61.com and it seems a fabulous website for travelers wanting to catch trains in Europe! So many tips and price comparisons!! And thanks for your info on trains. I think I'll take them even if they're a little beat up looking, LOL You been wonderful with all your help, PHeymont! I might have more questions later. Do you keep an eye on these posts? How does that work? What's the best way for me to get in touch with you if I have more questions? Right here on Travel Gumbo is a great way to keep in touch. The Gumbo Gurus keep a close eye on our site, and asking here also involves the whole community and all their knowledge. Re: Where do the "permanent travelers" go? Fascinating history. Stunning photos. Thanks. Thanks for the journey through the Albaicin, PH. I love walking through the old parts of cities where there is so much history to see. You've certainly captured the essence of this place in your pictures and I've added it to my places to visit list. This is a big problem in the Caribbean too. You book a table in a fine restaurant. Candles on each table. Napkins and best silver cutlery. And the gentle tones of a Spanish Guitar soloist provide the entertainment. Then 2 families sitting at tables 15 feet apart discover they both come from Michigan. They have to shout to each other to be heard above the music. The soloist takes a break. The conversation continues and the noise level stays the same. There are some experiences in life I can live without trying. This would be near the top of that list. Re: Driving in Spain: better be a hands-on experience! Tooooo much of Big Brother in all this for my liking. Re: Brits on Beach behaving badly? Call (British) cops! Sounds like the British kids are copying the "Spring Breakers" in Florida. With a hint of "Bikers Week" for the older ones. I think it’s quite a bit like that…away from home, in a place that has tolerated a lot to keep the visitors coming…and is now reaping the whirlwind. Don’t know who did it first or where, but it’s certainly sad to see…especially when people get hurt. I love the way you Americans call our British Cops "Bobbies" It's awesome ! Haven't heard the name "Bobbies" ( on bicycles two by two) since Roger Miller sang about it in the 60s. We have a long list of things that have been attributed to us. Things that belong in a time capsule. But it keeps the tourists happy ! I love researching the origins of words. A word you use in the US more than we do. "Sherriff" has its origins in the English middle ages. But from where ? As a huge fan of all sorts of surface travel, you had me going there for a moment. Until I realized I'd have to wear my chorizo disguise to get a ride on this train. Originally Posted by PortMoresby: As a huge fan of all sorts of surface travel, you had me going there for a moment. Until I realized I'd have to wear my chorizo disguise to get a ride on this train. You could always disguise yourself as a ham or a can of olive oil. As I recall, there was a famous character on the Popeye cartoon who liked to disguise herself as Olive Oyle. Originally Posted by DrFumblefinger: You could always disguise yourself as a ham... That would definitely make the most sense, actually requiring no disguise. During our lives we will meet 5 or 6 people who leave us with an impression of just having met a great man. Sounds like Hans' was one of your handful of heroes. We try to understand what makes him so outstanding. Then in our own way we try to copy some of his finest attributes. And hopefully we are a better person for it. Consider that an extra big "like". Re: I get to Boomerang to Spain ! Cheap ! Wow ! That is a good deal. I need to drill down through those redeem mileage programs and see what I can learn. Thanks for this valuable lesson. So, PHeymont, when you stopped for the week in Stockholm which airline was it and what fees were you charged for the stopover? You mention Madrid. Presumably that was a different trip, so same questions on that one. Also, can these stopovers be scheduled on the AA website or must you speak to an AAdvantage customer service person and pay the ($25?) fee? All potentially very useful information. Many thanks, Gurus. All things to be watched closely, by the way; by January the new AA will start rolling out updated program rules and procedures for what will be a merged program. We'll need to watch closely to see what changes! WorkerBee, how long will you be in Spain, and when? We're going for 8 days (not counting the travel days) in February. We'll be in Seville, Cordoba and Granada. 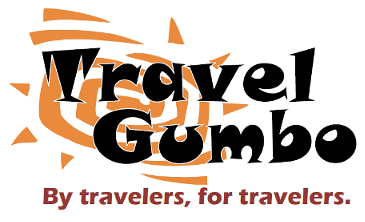 Gumbo fans would love to hear how your trip is going and to see pictures along the way! I will be there about a month, from February 12 to March 12. I will be in Madrid for a few days after I arrive and then off to Girona and environs for a few weeks. I may wander into southeast France for a few days as well before I return to Madrid for a couple of days before I fly out. I envy your trip! We'll overlap in time, but not in place. If you do add France to the itinerary, you might want to look into the new TGV service from Barcelona to Paris that starts this month. I'm not sure of its route as it leaves Spain, but it might go where you want to! It required 40,000 miles for a round-trip economy ticket. All were in-seat miles and all were from a few years ago. Now I know why your handle is WorkerBee. Persistence and hard work get the job done! Well Done! Originally Posted by WorkerBee: It required 40,000 miles for a round-trip economy ticket. All were in-seat miles and all were from a few years ago. That's one of the things I like about AA...aside from the one-way awards. When everyone else was 50K to Europe, they were 40K offpeak and 60 peak. Now everyone else is 60K peak, and AA still has the winter bargains. Hope it lasts! Wonderful piece of planning WorkerBee ! Missing off London to avoid the $18 Departure Tax for Spain seems a bit severe. I presume your return journey is more direct. $ 18 ? I am puzzled by this. When I have taken flights from London to the US, the tax has been more like $ 150 - $ 200. It was worth it to spend time in London, of course. Still, it was not a small amount. The UK departure tax is "Banded" into distances and economy / regular / 1st class. London - Spain is only a short distance.